It's World Sea Turtle Day! 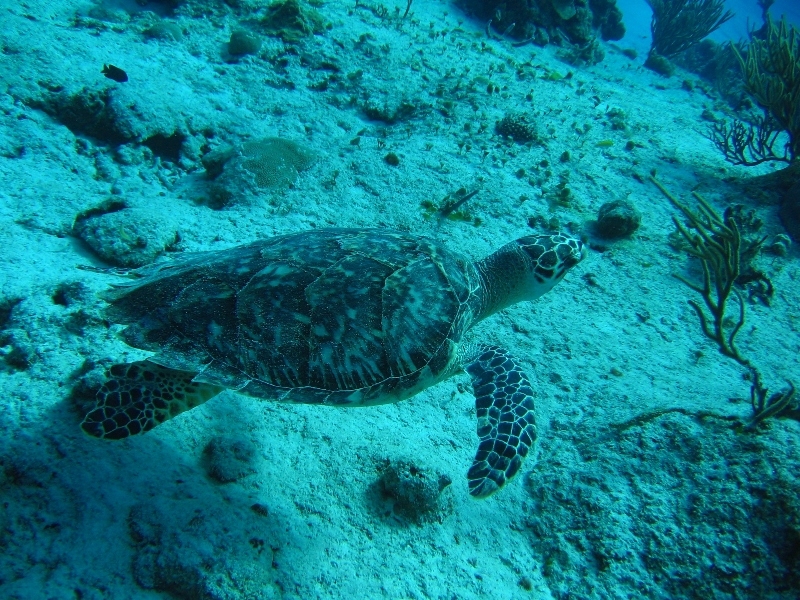 It’s World Sea Turtle Day! Wonderful people like those at the Sea Turtle Preservation Society here in Florida are celebrating the day (it’s also famed turtle researcher Archie Carr’s birthday) by hosting open houses with book signings, food, and fun for the kids. What are you doing for the day? Remember to keep refusing those plastic bags and other items if you can avoid them and if you’ve got the means, consider supporting LMC or STPS by joining them as a member. Or perhaps you’re local enough to consider a turtle walk? Both organizations are permitted through the state and run these night time beach adventures and with yesterdays full moon (and lunar eclipse!) I bet the turtle activity is pretty strong out there right now. 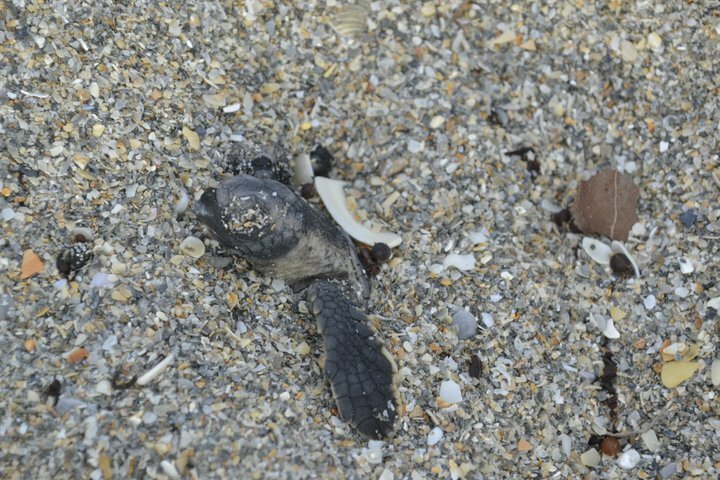 UPDATE: On a visit to Canaveral National Seashore today we counted 103 nests along a 1.5 mile stretch of beach! Nearly all of them loggerheads. 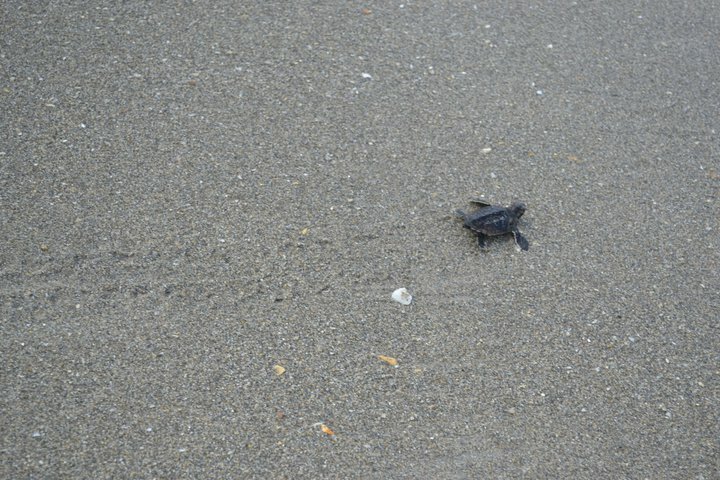 Posted in conservation | Comments Off on It's World Sea Turtle Day! A few weeks back, Monterey Bay Aquarium announced that a pair of its weedy sea dragons were expecting. This created quite the stir in the zoo and aquarium world, as successful mating attempts (let alone successful hatching of the eggs) is quite a feat in captive members of the species. As with all true snygnathids including the seahorses, pipefishes, and sea dragons, the males fertilize the eggs after the female produces them and then attaches them to a specialized region on his body (in seahorses an actual pouch!) for incubation. Back in 2008, the Georgia Aquarium announced a similar pregnancy, noting it was just the third successful egg-carrying event in the United States. I’m not sure where that puts Monterey Bay’s pair now in 2011, but let’s hope their male continues to carry the eggs and that they hatch in time for Father’s Day! Not to be outdone, the Steinhart Aquarium announced something even more amazing: they’ve got ornate ghost pipefish (Solenostomus paradoxus) fry!!!! In the realm of fishkeeping, ghost pipefishes are high up the evolutionary ladder for their specific and specialized needs. They’re fairly delicate with respect to water quality and – like most of the snygnathidae – are picky when it comes to food sources and sensitive to gaps in nutrition. But there’s a catch here, while they’re related to the syngnathidae very closely (just look at that trigger like mouth! ), they’re not true syngnathids. We don’t know a whole lot about breeding and incubation in the species, so anything Steinhart learns could be an enormous contribution to the field. I’m crossing my fingers they get a good enough survival rate from the wee ones (they’re just 6-7mm now!) that a few can be raised to adulthood. This is potentially a godsend for other public aquariums, as captive-born fish tend to have stouter constitutions, and can even sometimes be trained off of their wild-caught parents demanding needs for live foods in favor of frozen delicacies. One last confession: I totally think ghost pipefish fry are cuter than a lot of human babies.